We meet one-on-one with you to get a feel for your individual real estate needs. We design a plan of action to help you through the buying, selling, or leasing process from beginning to end. We offer help and support even after your sale or purchase is complete, ensuring that you always have a friendly face to turn to. A Friendly Team You Can Count On! 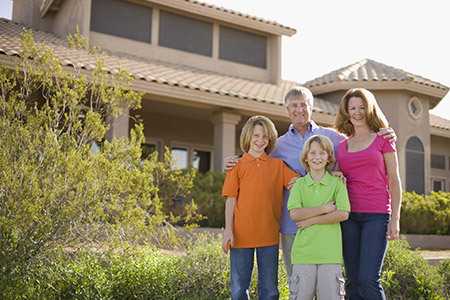 Jeffrey L. Thomas Real Estate is a family-owned and operated company that has been in business since 1988. Our goal is to provide a family-friendly atmosphere with a complete range of professional, individualized services. Over the years we have flourished thanks to our many satisfied customers and positive referrals, which we believe says a lot about the way we do business! You can always expect to be treated with the highest degree of care and integrity by our expert team. Our staff is highly skilled, and fully qualified to deliver first-rate service. Our office is located in the heart of the Poconos, just off route 715 in Jackson Township, Monroe County. We are 5 miles from route 80, and just 15 minutes from the Delaware Water Gap Bridge. We are open 7 days a week for your convenience. © 2019, Jeffrey L. Thomas Real Estate. All Rights Reserved.